How unbranded hotels are hitching a ride on branded ones for growth. 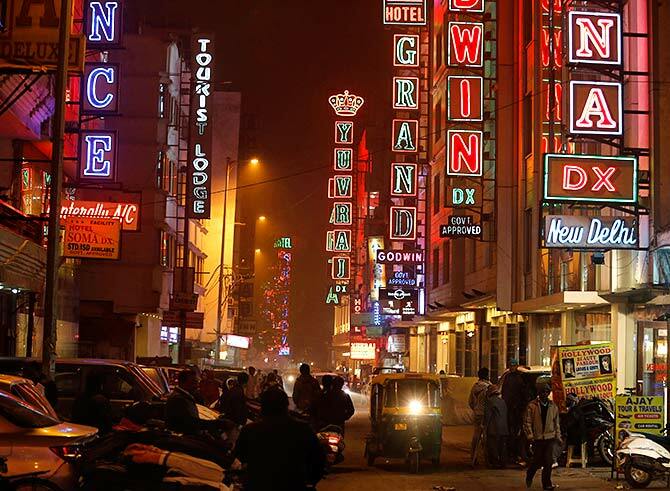 Overall, India’s hospitality market has seen close to 7,133 hotel rooms being converted into organised, branded space over the last 36 months, said Jain. Rohith Naidu, owner of Marks Granduer, has never been so satisfied with the occupancy rate or average room rent (ARR) of his mid-market hotel at Yashwantpura in Bengaluru. But thanks to a deal he inked with Ferns Hotels & Resorts last year, he is converting his unbranded, stand­alone property into a branded one. It is now one of the 40-odd properties managed by Ferns across the country. Naidu is not alone. Earlier this month, Ramakant Sharma, managing director at IRA Resorts, got into a similar brand franchising agreement with Wyndham Hotels & Resorts that runs the multinational hotel chain, Ramada. Known as conversion, this trend is catching up in India’s hospitality market as asset owners are looking at optimal utilisation levels and a brand recall. On the other hand, branded hotel chains seek to expand faster and cut the project development time to meet the burgeoning demand. “The potential is huge,” says Nandivardhan Jain, chief executive officer at Noesis Capital Advisors. Of the 4.3 lakh rooms that India has, only 1.3 lakh are branded, he adds. Of this, 5.5 per cent is through conversion. Given the success rate of conversion, Noesis expects it to reach 10 per cent by 2020. Noesis has concluded 58 hotel advisory assignments in the last 12 months. After being taken care by Ferns, brand value got a boost. Of this, 37 were conversions from standalone to branded hotel chains. Overall, India’s hospitality market has seen close to 7,133 hotel rooms being converted into organised, branded space over the last 36 months, said Jain. So, what is prompting such agreements? “The asset owners are realising that there is value to join hands with an operator,” says Anshu Sarin, chief executive at Keys Hotel. The trend, she adds, is being driven by multiple factors, including the need to attract and retain talent and customers. “Talent is a huge paucity in our industry and it chases brands,” says Sarin. Secondly, you get a network effect that allows you to cross-sale rooms across properties for guests, thereby bringing down costs for acquiring customers. “The attitude is changing even of those owners who have been running the hotel for a period of time,” she says. Keys plans to have close to 2,000 rooms by the end of 2019, up from 1,500 now. The need to align with chains is also being fuelled by lack of quality rooms and a long development cycle of four to five years with regard to a new project, points JB Singh, president and chief executive at InterGlobe Hotels (IGH) that owns Ibis and Novotel, among other brands. Singh says that the supply of quality rooms has slowed down in most key markets and is expected to grow only by 5 per cent between 2019 and 2022. This lags the demand growth that remains strong at 10-12 per cent. A widening gap between demand and supply has resulted in improved performance which is reflected in improved occupancy (66 per cent) and steady ARRs, pan India. Hence, shorter time to market structures such as conversions of existing building, acquisition and re-fitment of operating hotels and operating leases are being explored, says Singh. While IGH keeps an eye on conversion deals, it's careful about the deals it chooses, says Singh. It has a healthy pipeline of six hotels, and will take its inventory up to 4,000 rooms by 2022, he added. Meanwhile, it’s also the cost dynamics that is driving change. “Running a hotel is a rich man’s business. It’s a return on ego and not a return on capital,” says Noesis’ Jain. The average yield on the asset class is around 6-8 per cent and the debt is around 10-11 per cent. This makes the survival difficult. But the brand has to grow and the best way to do that is to convert existing non-branded hotels into a branded one, he said, adding it’s a win-win for everyone as it improves the overall eco-system. No one can vouch for this better than Naidu, who has seen the average room rent of his 55-room property under Fern’s management increase from an average Rs 2,500 to Rs 3,000 plus and occupancy levels also shoot up by similar proportions over the last six months. Even online bookings have jumped from 30 to 40 per month to 400 to 500. “The customer satisfaction level was something I was always worried about,” says Naidu. Which is going be the biggest hotel complex in India?